On the 23rd September 2017 ‘Mist’ an adolescent gannet was rescued from Lihou very unwell and weak and brought to the GSPCA Animal Shelter by Volunteer Warden Suzy Rose. For the first few weeks the bird was under the supervision of our vet and care of the GSPCA team in our intensive care room for large sea birds and seal pups. Mist responded extremely well to treatment and enjoyed a lot of fish each day. 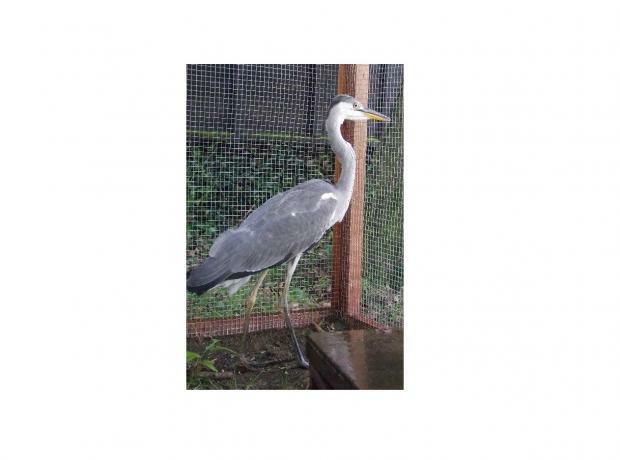 As Mist grew stronger the bird was allowed outside on one of the GSPCA rehabilitation pools. 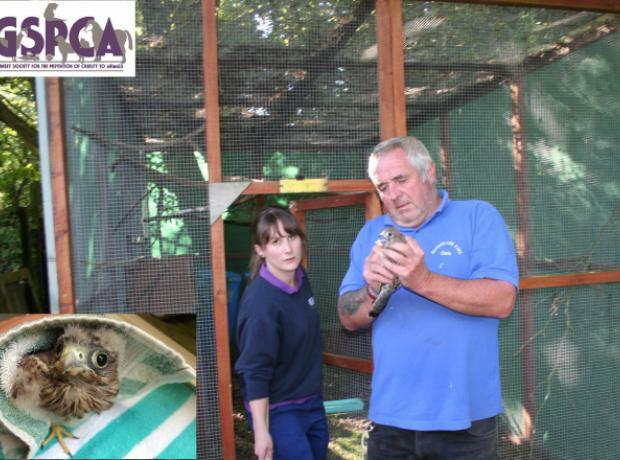 Earlier in the week we told you about two kestrels that were rescued recently and in the care of the team at the GSPCA. We are pleased to report that the younger of the two called 'Bradshaw' is back in the wild where he belongs. Rescued by GSPCA Volunteer Wardens Matt Hill-Smith and Jen Bradshaw found stunned in the road earlier this month Matt popped in yesterday to take him back to the area where he was found. Thank fully Bradshaw wasn't injured badly and after a short period or rest and care he was fit enough to go back where he belonged. On the 26th June a very young, starving kestrel was found on a road in St Peters. With no mother in site and traffic back and forth the bird was rescued and brought to the GSPCA in St Andrews. He was placed in an intensive care unit and still had much of his down and not fully feathered due to his age. Day and night he was hand fed by the team at the Shelter until he was fit enough to place in one of our rehabilitation aviaries. Over the last few weeks he has built his strength and learnt to fly and forage for food. Nearly two weeks ago a kestrel was rescued and brought into the GSPCA from the St Peters area in Guernsey. The injured bird had a damaged eye and would have likely perished if she hadn't been found. Hook as the kestrel has been called was initially in an intensive care unit with regular treatment prescribed from the vet and as Hook got stronger progressed into a hospital cage before being placed in one of the soft release aviaries here at the Shelter in St Andrews.